As a Denver dance photographer, I have the awesome opportunity to photograph the youth company at Park Hill Dance Academy. But, I swear, these girls must totally hate me! The first time I photographed them, it was pretty chilly and they had to wear their leotards and tights outside. The second time I worked with them was at sunrise, in February. And this time, it was cold and rainy the whole time! At least, this time, they got to wear a long sleeve shirt over their leos, if they wanted to! We did headshots of a few of dancers from the adult company, including the studio owner, Karlyn. Then we did portraits of each girl in the youth company and a few group photos as well. We did one group of all the dancers together, in their dance attire and one, just for fun of everyone in street clothes with their umbrellas! I had everyone dance in the rain and jump around for the last shots! Those were some of my favorite photos from the session! I love photographing in City Park. It’s a great location, with lots to offer but in typical city kid fashion, I always gravitate toward the architecture of the Denver Museum of Nature and Science rather than the pretty trees and flowers. Behind the museum is a really nice area, that is great for headshots. There was even a dry spot, under a tree, for the girls to sit! (I always bring towels to my headshot sessions so no one has to sit in rain or snow.) The steps were the perfect spot for us to do the group photos. And in a rainy day like this, it was really nice to have some overhang areas to hang out and stash our stuff, plus people could run into the museum lobby to warm up. These girls are total troopers. They are dancers, after all! Are you looking for engaging portraits of you or your company? Contact me at jamie@jamiekraus.com. I love photographing passionate people. While most of my Denver and Boulder headshot clients are artists and entrepreneurs, anyone who is passionate about what they do is a perfect fit for me. I met Yazan at an Energy Storage Expo I was photographing for a colleague of mine, Kinser Studios. It was a huge conference but I ran into him a few times, while he was engaging with vendors, asking questions at seminars, and networking with his colleagues. It was very clear to me that he loves what he does. Yazan works as an Electrical Engineer for American Electric Power in Columbus. While he was visiting Denver for the expo, he wanted to get some fun photos in the city. His mother’s birthday was coming up and he wanted to gift her a few portraits of himself. Isn’t that so sweet of him!? We met up after the expo, just outside the Colorado Convention Center. It was cloudy and rainy but that didn’t stop us from having a great portrait session. In fact, the rain really enhanced the color of everything and gave a very cool effect to the photos. Plus, we borrowed some cool umbrellas from the hotel Yazan was staying in and used them as fun props in some of the photos. The Colorado Convention Center and surrounding areas proved to be a great location. It’s modern and urban. There are lots of trees and plants around for a nature feel as well. And I just love the Big Blue Bear. It’s such an iconic Denver sculpture and it gives the photos a nice pop of color. I loved working with Yazan and creating these fun portraits together. I know his mother with just love them and I hope his family will cherish them for a long time. Looking for a fun, relaxed portrait experience? Contact me at jamie@jamiekraus.com. Gerardo and I met at the Denver Nature and Science Museum as part of a senior portrait event with New Legacy High School. New Legacy High School is a Denver charter school for young parents. It’s half high school/half early learning center so the students and their children can learn at the same time. When I saw the opportunity to volunteer to photograph senior portraits for these students, I went for it. It was a great opportunity to dip my toes in the Denver senior photography world, while giving back at the same time. Gerardo was one of the 3 students I photographed that day. When he showed up, I immediately noticed his awesome shoes. I loved the little pop of color on the backs. (check them out in his last photo). He and another student at the school have a daughter together. This little kid is a total daddy’s girl. The whole session, she was trying to play with him and following him around everywhere we went. The three of them are such a cute family. We had a lot of fun at our session! We did half the session outside, in the park and the other half in the museum. There are some cool modern areas with great natural light in the Museum of Nature and Science. And with City Park right there, we had the perfect mix of nature and modern. I’m so glad I participated in this event. I approached senior portraits similarly to my headshot sessions. For me, it’s all about creating a fun and relaxed experience and bringing out my client’s personality. I love senior photography and I cannot wait to do more! For more senior fun, take a look at Layla’s session here. Looking for a fun, relaxed senior portrait experience? Contact me at jamie@jamiekraus.com. Back in September, Presenting Denver and I collaborated on a photo session to create images for their new website. They wanted to convey dance without focusing on faces or individuals. 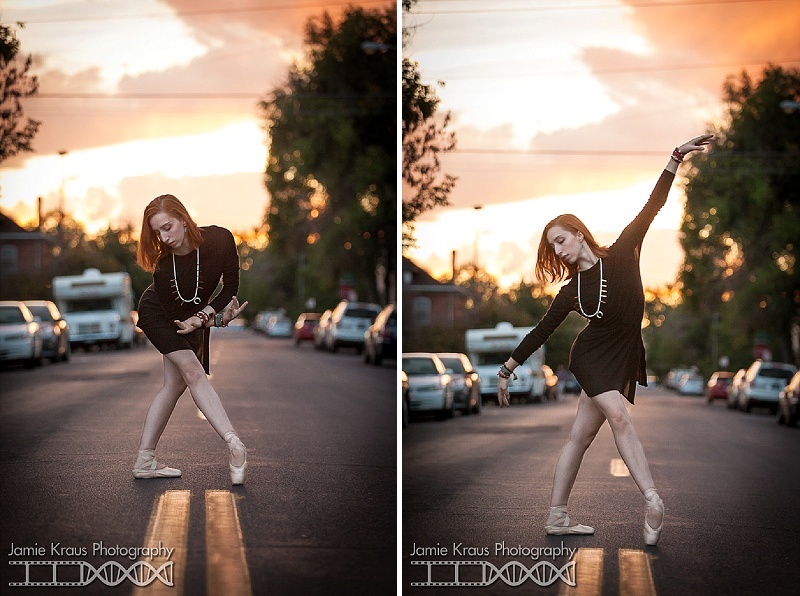 As a Denver dance photographer, this was a really fun challenge for me. It forced me to take a step back and get really creative. Around the same time, I walked all over Denver, capturing the essence of the city. As I went through the images from both projects, I noticed how well the photos paired together to show Denver and dance through similar compositions. 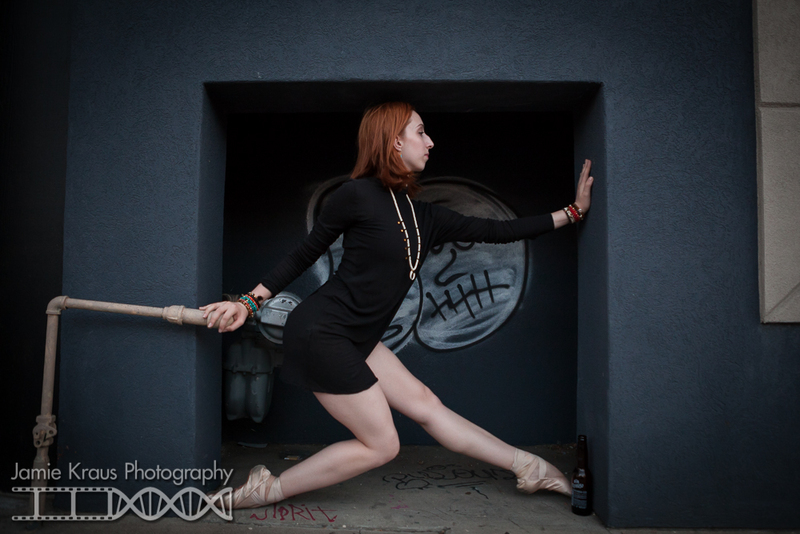 Want engaging dance portraits for you or your company? Find out more about Creative Sessions and email me at jamie@jamiekraus.com. 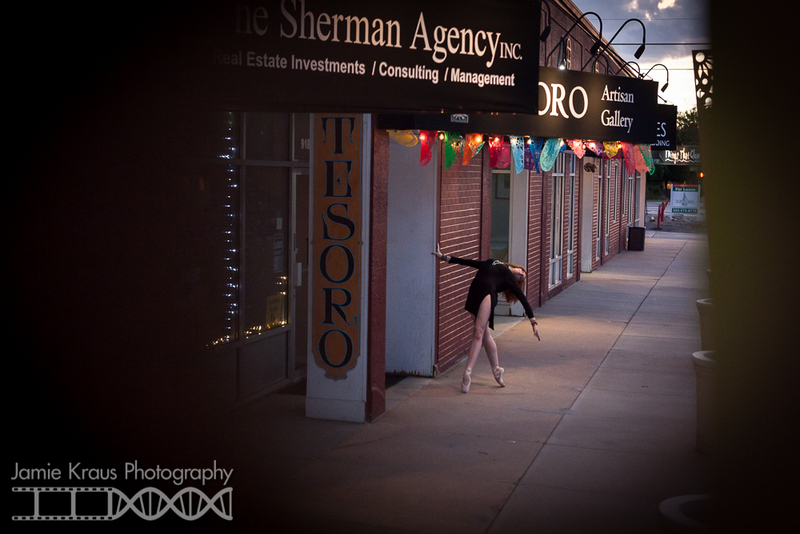 I would love to help tell your story through dance and photography. I love being able to work in a shoot or two when I go home to Chicago. I thrive when I can capture its vibrancy and all it has to offer. I’ve always said that Chicago is my first love so this shoot is a bit more personal for me than the other Dance by Design shoots I’ve done. Pam is a family friend who I’ve known her for years and has even joined us for Thanksgiving dinner. She helped me make a skirt out of ties while I was going through my Avril Lavigne phase and invited me to fashion shows when I was in high school. Trinity and I were both interns at Jacob’s Pillow. Trinity was the food services intern, so I made sure to be extra nice to her. We ended up keeping each other awake while we drove all night to Chicago after the summer ended. We decided to do the shoot in Pilsen, a predominately Mexican neighborhood, just south of where I grew up. It has beautiful murals, great thrifting, and of course the best Mexican food in the state. Chicago is definitely a city of neighborhoods and cultures, so I think Pilsen shows the essence of the city in a way that the downtown cannot. Pam was so generous and she designed and styled the pieces that Trinity wore for the shoot. I asked each of them a few questions about what inspires them. Tell me about the company or school you are associated with? I’m a senior at Columbia College Chicago. I will be graduating in May 2016 with a BFA in dance with a concentration in dancemaking. How would you describe your style of dance? My favorite styles of dance are Modern and West African Dance. My movement is influenced by both of these styles as well as my training in floorwork and gaga techniques. I’m originally from Sun Prairie, Wisconsin and moved to Chicago for school. My mom’s side is from Chicago so I’ve been to the city many times growing up. It nice to live here, I’m such a city girl. I enjoy the diversity and the art and food culture here. There is so much packed into this beautiful city. What does dance do for you/mean to you? Moving my body in relationship to music is my favorite thing to do. Dancing is when I’m happiest, it’s my outlet and source of communication. I love being in the studio creating and working with other dancers through this beautiful language. What was your inspiration/thought process when you designed these pieces? Knowing that your model had dark skin, incredible features and such an amazing figure , I thought light color, sheer with hints of gold would not distract from her beauty or her movement. She looks stunning and the location is quite colorful and urban so I like the contrast. For this project I chose soft, flowy and very unconstructed. Pieces that would move with her and not distract from your photos or her dance. Born and raised in the area. I had a bridal design company in Bucktown for many years and taught fashion design at SAIC. I have lived in NY and many other cities but Chicago will always be my favorite. The diversity of the neighborhoods and the friendly attitude that you normally encounter is what always brings me back. What does fashion do for you/mean to you? I guess being able create something beautiful, functional and lasting is my first thought when I create something. Each person I design for always has something unique about them that inspires me. I am always looking to collaborate with more dancers and designers. If you’re interested in working with me and other local artists, send me a message! Once again, I am just blown away by all the amazing artists in this city. I love collaborating with all these creative minds for my Dance by Design project. 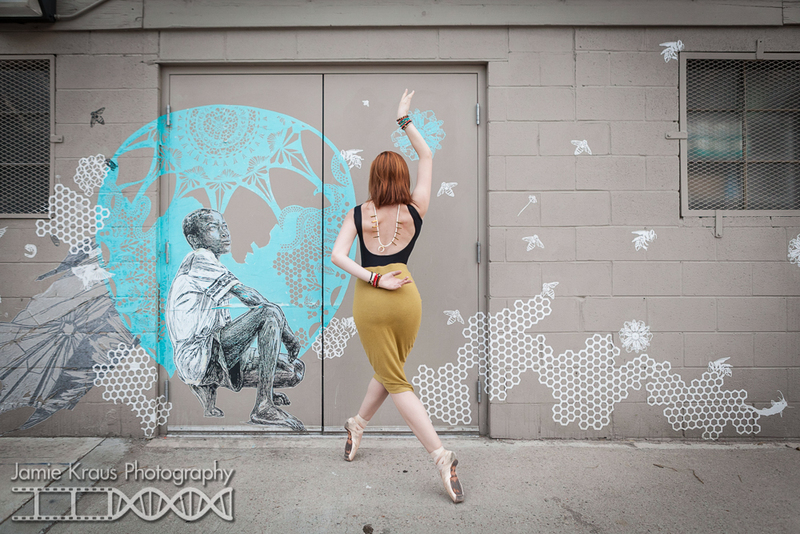 It’s a collaborative, multi-shoot project involving local dancers, fashion designers, and locations around Denver. 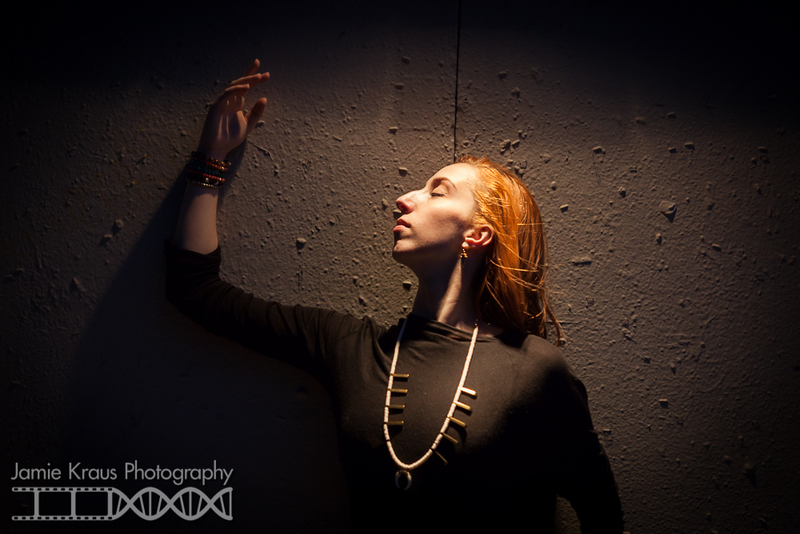 For this shoot, ballerina Molly Klug wore two sets of jewelry by MKaltenbach in two different locations. This is part two of the shoot, in the Santa Fe Arts District with Molly wearing MKaltenbach’s Bone Squash Blossom necklace, along with turquoise earrings and a bunch of fun bracelets. Part one took place in an amazing field of sunflowers. You have to see these photos! 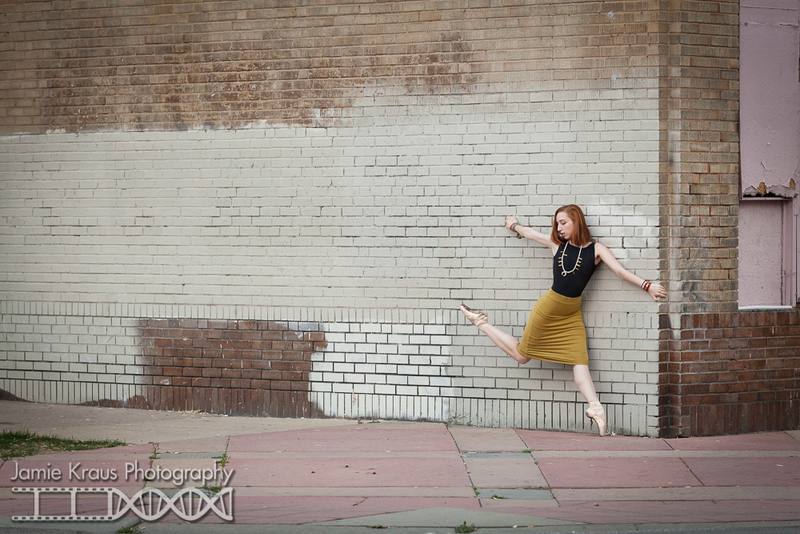 Molly is in her second season with Colorado Ballet’s Studio Company and has been living in Denver for just over a year.